A landowner who is refusing to sell a half-acre stretch of his property to the Jefferson Parkway Public Highway Authority says the group is planning to move forward regardless of his concerns and may use eminent domain to seize his land. JEFFERSON COUNTY — A landowner who is refusing to sell a half-acre stretch of his property to the Jefferson Parkway Public Highway Authority says the group is planning to move forward regardless of his concerns and may use eminent domain to seize his land. Mark Hotchkiss is a trustee The Kenneth W. and Joy R. Hotchkiss Family Trust and the son of the property’s original owners. He sold part of his father’s property to the highway authority in 2015 after years of discussions but was approached again in December and asked to sell another half-acre to the group. The group is settling on contractors and getting ready to break ground on a 10-mile toll road in 2020 that will run from Golden to Broomfield. Hotchkiss believes the sale would make the rest of his father’s property worthless since the nearly two acres that would be left to his family would be situated between two highways and would not have access to an easement for trucks. Instead of getting rid of only the half-acre, Hotchkiss has offered to sell the entire property at fair market value. However, Hotchkiss says he is being threatened with eminent domain if he refuses to sell only the half-acre to the group. In an email sent to Hotchkiss one day after Denver7 aired a story about his fight against the JPPHA, the Executive Director of the group, Bill Ray, said they hope to acquire the land amicably and consensually. “If the parties are unable to negotiate a consensual sale of the property, the Authority must preserve its ability to move forward and condemn as the property is necessary for a public project as allowed by Colorado law,” the email went on to read. Attorney Wayne Schroeder says eminent domain has a lengthy history in Colorado. “The government has the right under certain circumstances to take private property for public uses,” Schroeder said. When that happens, the owner is paid just compensation for the loss of property the government takes. “Just compensation is reasonable market value, and if there’s damages to the remainder of the property after the acquisition, then the damages will be paid for the remainder to accommodate the damage,” Schroeder said. Under state law, a district judge has the right to determine whether the land truly falls under eminent domain. The legal dispute over land can be lengthy, lasting several years in some cases. “The landowner is entitled to have a judge determine whether, in fact, it is a public purpose and whether there is a public purpose being served and also, of course, whether the condemning entity has the power of eminent domain. These are highly contested issues typically,” Schroeder said. Schroeder, who has practiced law in Colorado for more than 50 years, says there is also a precedent in state history for eminent domain to be used for toll roads. “Private individuals can get together and form a toll road company and exercise the power of eminent domain that is granted to it by the statute,” he said. The group does have to meet certain criteria in order to qualify for that right, though. Schroeder even helps set up a couple of companies over the years that had the right to exercise eminent domain to acquire property. More often than not, though, Schroeder says eminent domain is used during property sales as a negotiation tactic. Hotchkiss has vowed to fight the acquisition, even threatening to take it to court if necessary. “We just think it’s a preposterous proposal and we also believe it’s against the law,” Hotchkiss said. 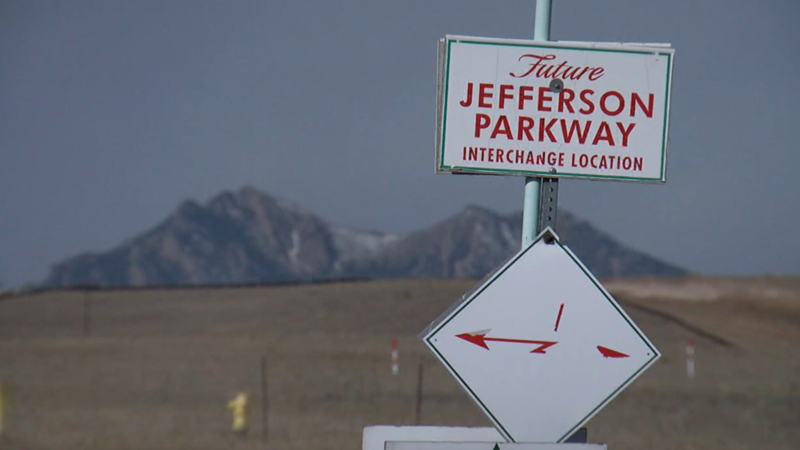 Denver7 reached out to the Jefferson Parkway Public Highway Authority for a comment on this story but has not heard back from the group.